The selection process to ensure the highest quality involves monitoring every genetic and environmental variable at each production stage. Starting by choosing the plantations and orchards all the way through to the mode of transport – we take care of each of the steps of the process, determined to add quality and value throughout. 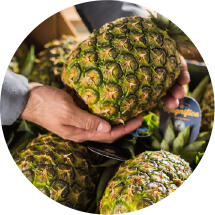 Harvesting the highest quality pineapples requires a stringent quality selection in order to only deliver the best produce, and we excel at delivering premium pineapples. 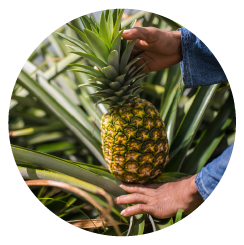 We are dedicated and focused on picking our pineapples in time so they arrive at the table at their sweetest and most delicious . 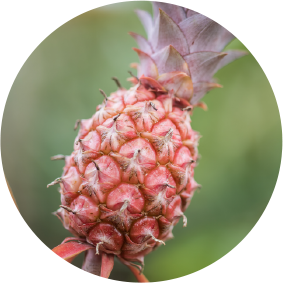 Each pineapple is individually picked by our highly experienced team of harvesters, which are able to evaluate the ripeness and decide if the fruit is ready to be picked. Our processes engage with local communities and contribute to the environmental, social and economic sustainability of the area. 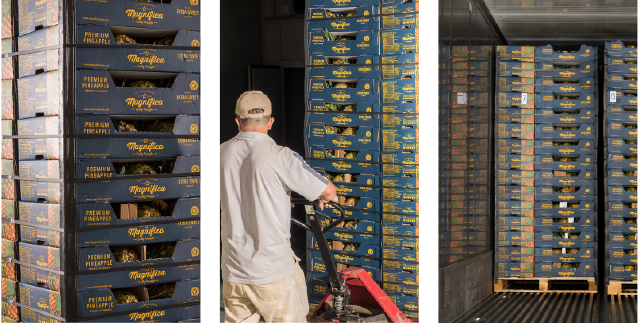 Following the fruit being picked it is prepared for packaging and delivery, while going through an additional quality check. The pineapples are washed in anticipation of their preparation. This will allow any soil or debris to be eliminated and not be present in the preparation stage. 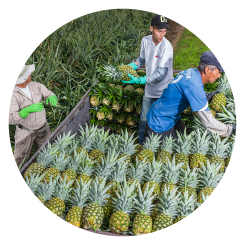 The pineapples are then submitted to a process of preparation which make sure they are ready for transportation. 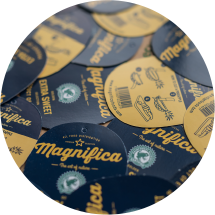 Each detail is taken care of in preparation of the logistical process, assuring the highest quality finished product. Waxing process protects pineapples against the environment, prevents it’s dehydration and provides a better look. 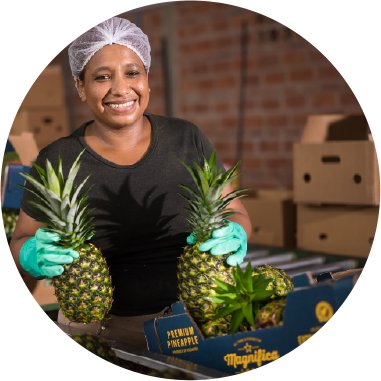 Our pineapples travel in refrigerated, climate controlled environment guaranteeing sustained quality level up to its final delivery.